The nutritional power of six whole beets in a concentrated nitrate powder. Beet Elite is the ultimate caffeine-free pre-workout supplement. Our sponsorship program means your rugby club gets $2.90 when you buy Beet Elite. Find your club’s code. I’m an ‘Old Boy’ and as I get older, I find I need a little more of an energy boost before I workout or I play some touch rugby with some of the other ‘Old Boys.’ This stuff is no joke! I find I’m not as tired during or after a heavy workout regardless if it’s weights or cardio. I do want to give a word to the wise: I’m someone who has reflux issues and it does have a tendency to give the ‘beet burps,’ but drinking water helps keep the ‘beet burps’ away. Otherwise, I highly recommend this great product! Thanks a bunch Ryan – glad you’re liking it mate. This product definitely helps with my endurance during games. Don’t get me wrong you’re still going to get tired during games but if you go back and watch film you’ll notice that you were able to give that extra bit of effort before you reach the point of exhaustion. Which can be all the difference in a game. Only problem is it only comes with 10 packets so I only break them out for game time. Good product - could use a bit more strength I think. “I was incredibly skeptical about trying this – it’s made of beets, a veggie I avoid at Thanksgiving (and all other times too). I’ve mostly used this at 7s tournaments towards game 3 or 4, but have not tried at practices. Taste: The cherry helps, but I don’t mind the taste. Not sweet, but doesn’t taste like health food nut material. I prefer to slam it rather than sip. Dissolves very easily and quickly, even without a shaker. Effect on energy: I’m going to preface with the statement that I work, a LOT, with most of it on my feet. This includes the nights before tournaments until 2 or 3 AM, so I show up already a little exhausted. 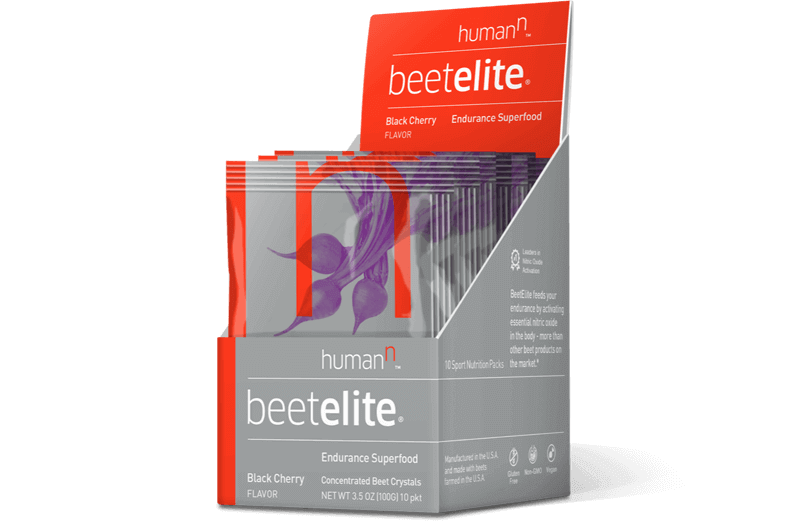 BeetElite takes the edge off that deep-set fatigue and lets me power through that little more. Misc: It will be bright red. Your teammates will ask what on earth it is, smell it, and make faces at you. It can also be a little stain-y, so I tend to use whatever disposable vessel is around rather than my shaker. I received this as part of the sampler stacker, and absolutely loved this! I have a caffeine sensitivity, so using any kind of pre-workout can have disastrous outcomes. But with this product, I felt energized and ready to tackle training. 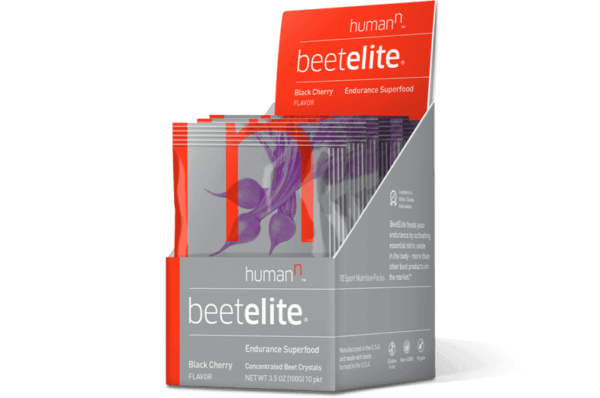 With pre-workout, I would feel the crash, and feel it pretty hard; I didn’t crash using beetelite. If anything, I felt pretty good for the remainder of my day. Both flavors are fine, and the powder dissolves easily, but I think I prefer the original flavor over cherry. This stuff tastes way better than I thought it would and I have actually noticed more energy throughout the day. Since I have been taking this I have noticed I haven’t felt the need for as many coffee breaks during the workday and I am more motivated to hit the gym after work. Highly recommended! I also love how the company donates money to my rugby club. If you are going to buy supplements anyway you might as well support your club while doing it. Was sent a few samples of this in an order. My wife used this before a match, as others said, we were a bit skeptical, but it really works. ordering more now to see how it continues to work. This is a truly great product! It delivers a really significant and noticeable increase in stamina and endurance. It tastes great, mixes easily, and I don’t get any ‘comedown’ or crash from it. I highly recommend Beet Elite! I was skeptical at first, but the stuff really works well. Ive taken it before gym sessions and games, and I had plenty of energy to stay 100% through both. The only problem is the taste. Mixing it will a little gatorate fixes that problem easily.